DETROIT— Wayne State University has appointed Dr. Herbert Smitherman Jr., as assistant interim dean of diversity and inclusion. Smitherman will serve in the new position on an interim basis while a search for a permanent vice dean of diversity and inclusion is conducted. He will continue in his role as assistant dean of community and urban health for Wayne State. 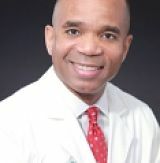 Smitherman received his undergraduate degree in chemical engineering from Northwestern University and earned his medical degree from the University of Cincinnati College of Medicine. He also serves as president and CEO of Health Centers Detroit Foundation Inc., a federally qualified health center look-alike that operates three health centers in Detroit under the name Health Centers Detroit Medical Group.